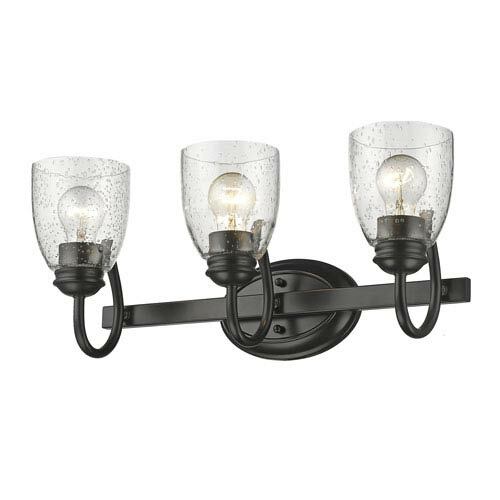 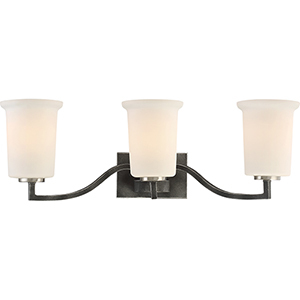 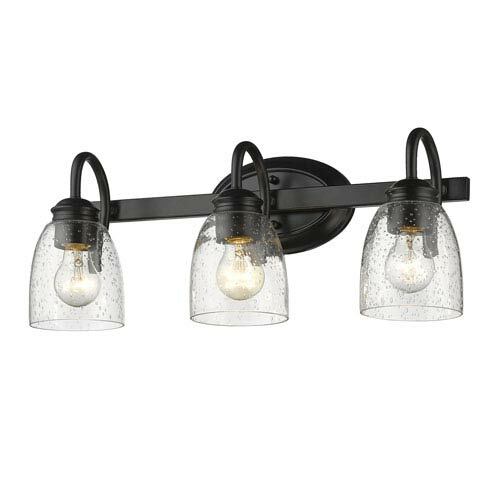 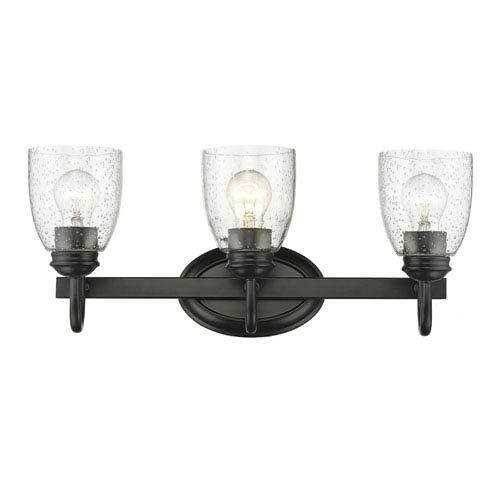 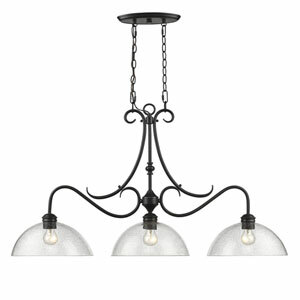 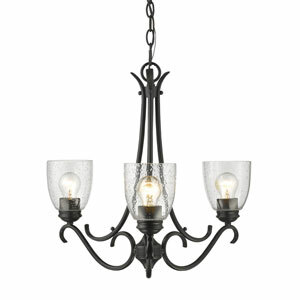 Golden Lighting's Parrish Three-Light Bath Light is charming in its smooth black finish and one-of-a-kind seeded glass shades. 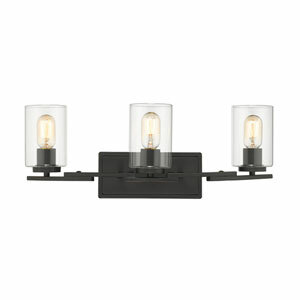 The three-light bath light provides well diffused light over a bathroom mirror for makeup or other grooming. 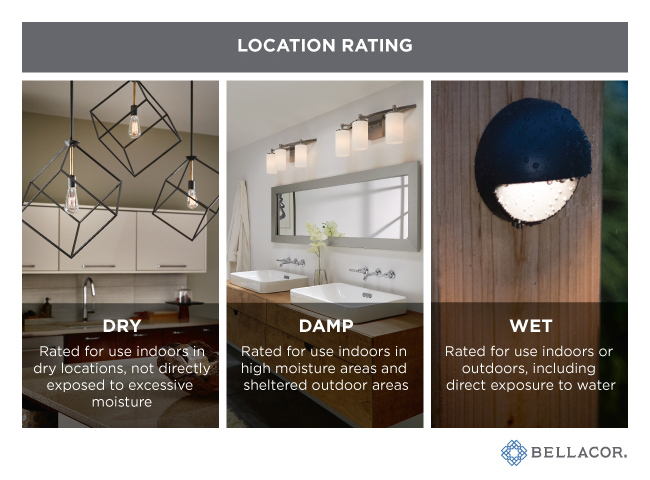 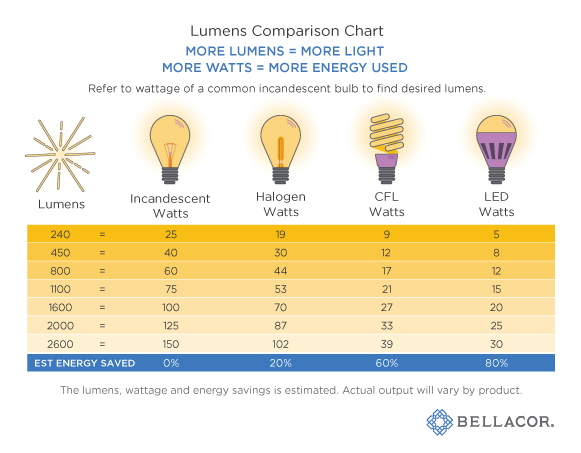 This fixture can be installed with its bulbs facing up or down to allow it to fit in more bathrooms. 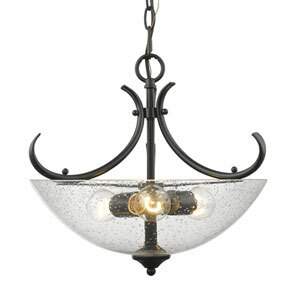 The classic look will fit in any decor and the hand-blown shades each have a original distribution of bubbles to make every fixture unique. 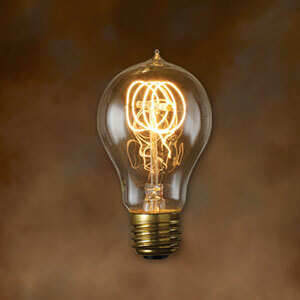 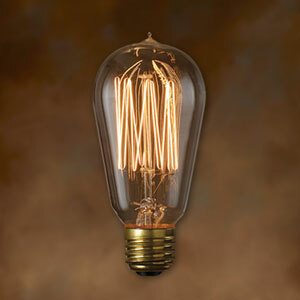 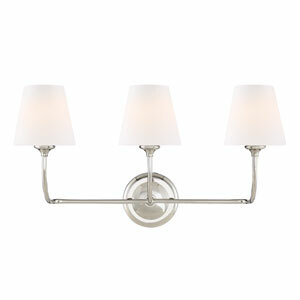 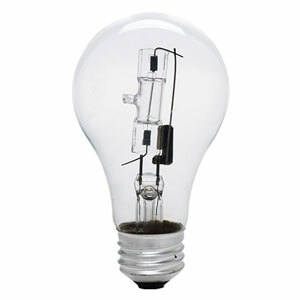 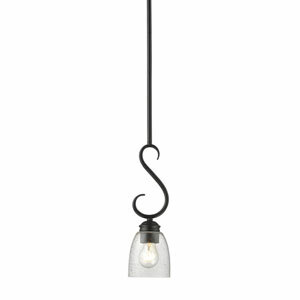 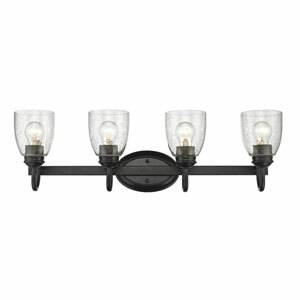 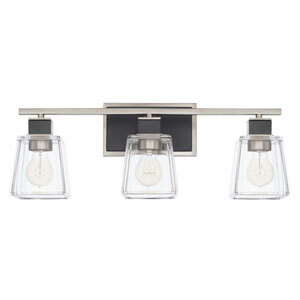 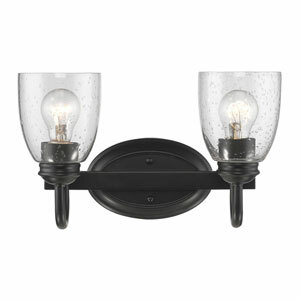 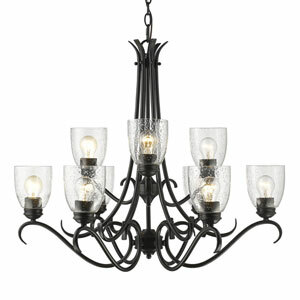 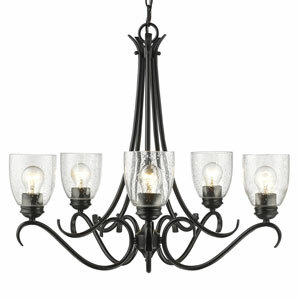 This fixture will complement any style room, especially industrial, contemporary, modern farmhouse, and transitional. 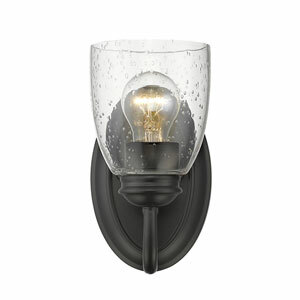 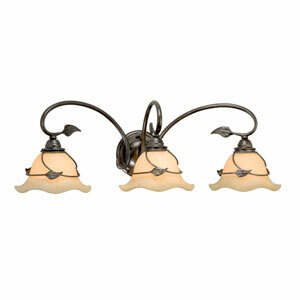 This light fixture is safe to put in any bathroom or damp location and all the mounting hardware is included.